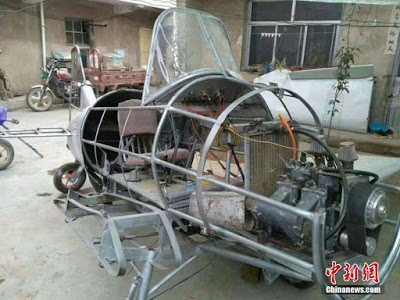 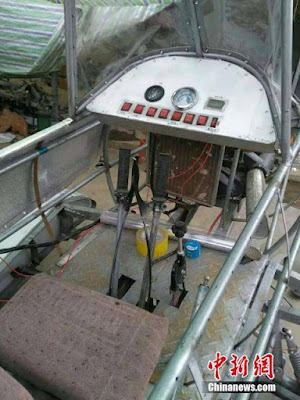 Zhang Jiucheng, a farmer in Gansu in northwest China, has built his own plane. Made from steel, the plane is 1.5 meters high, 3.5 meters long and has a wingspan of 7 meters. 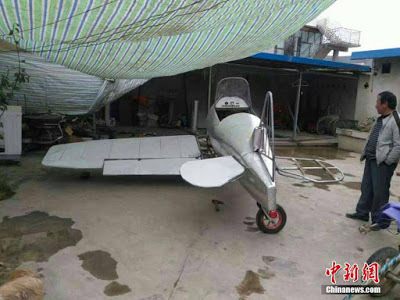 The plane costs 20,000 yuan (about 3,000 USD). 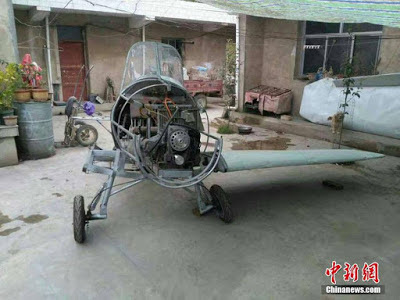 Zhang is currently assembling the plane, and hopes to take it for a trial flight soon.